Join the Ladies of LWML on Monday, March 5 at 7:00 pm to continue creating no-sew blankets for World Vision. If you find a blanket kit that would serve adults or children, please feel free to bring it to the meeting. All supplies for making blankets are provided. A devotion and light refreshments will be available, as well. We will meet in the Library. Please contact Nancy Ewert at 630.234.7130 if you can join us. Our Easter Care & Share event is coming up on Saturday, March 24. We will begin collecting clean, gently worn Spring and Summer clothes and shoes, reading books for children ages 5-10 years, and cleaning supplies for the 42 families. Please check the Care & Share poster in the Lobby for slips for purchasing cleaning supplies. These can be placed in the gray bins in the Lobby through March 18. The Peace trailer will be parked in the main lot for collecting clothing, shoes and books also through March 18. Since 2006, our Prayer Shawl Ministry at Peace Lutheran has created and given away over 300 shawls in celebration or time of need. Would you like to be part of this meaningful ministry to create tangible reminders of God's constant presence and comfort? 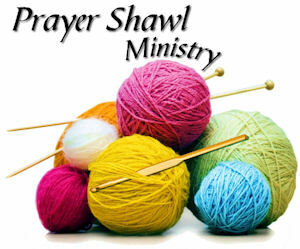 Share your love for knitting or crocheting by making prayer shawls for those who need encouragement. Don't know how to knit or crochet, lessons are provided. Join this group Monday nights from 7-9 pm in the Peace Lobby. Instruction is available and beginners are always welcome. For more information, contact Ruth Winter: ruthwinter@att.net. ​Peace recently highlighted this community service organization through a food drive sponsored by our Vacation Bible School. There are many ways to serve families and senior citizens in our community through this organization. Check out their website at http://hsp.agency/getinvolved/volunteers.html. Interested in volunteering? At PRC, there are dozens of volunteer opportunities, for both individuals and for groups.